It's easy to get bogged down in little things when you're decorating. 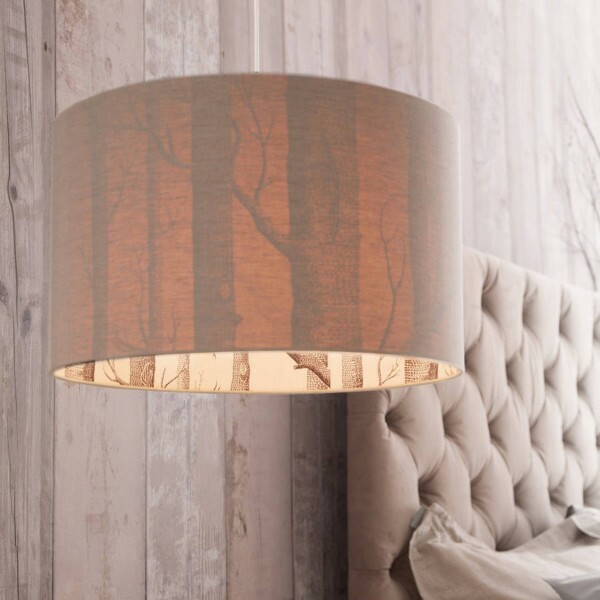 If you can't see the wood for the trees, the Silhouette Linen Lampshade - Cole & Son The Woods will add those finishing touches in style! 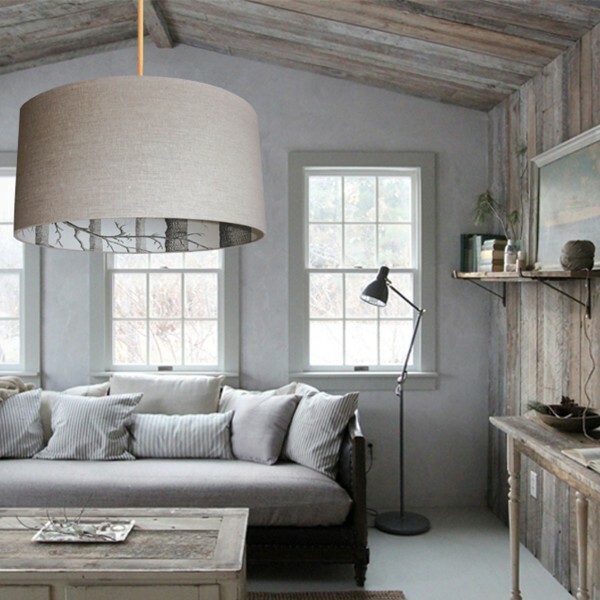 Featuring a drum shade frame with an unrefined but chic linen overlay, this lampshade is reinforced with flame retardant material for extra safety and brightness. The charming Cole & Son original wallpaper pattern underneath is a sketch that depicts trees in a forest. Their silhouette can be seen from under the linen overlay whenever the lights are turned on. This makes a striking focal point in a room with rustic or shabby chic furnishings, whether it's used to clad a table lamp, a floor lamp or a ceiling pendant. It comes in a variety of shapes and sizes to complement any room layout, and it can also be paired with other Love Frankie shades and accessories to create a minimalist or even a contemporary look.